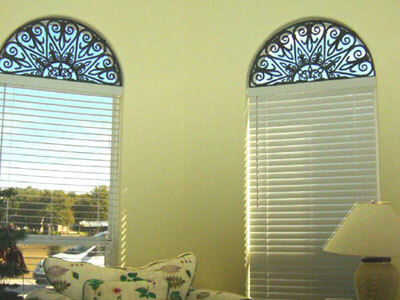 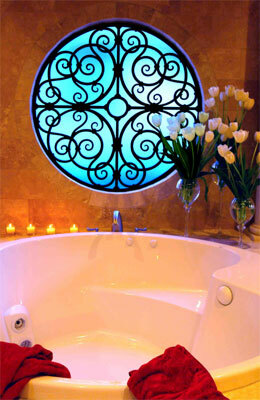 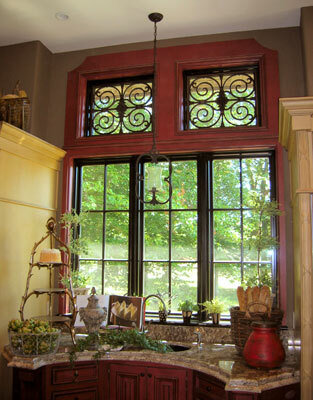 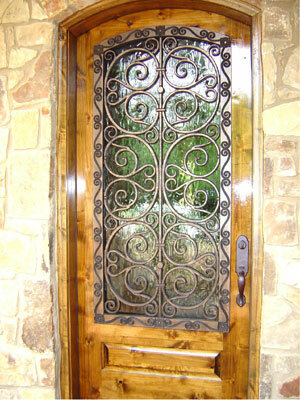 Iron work in a window or door provides a decorative screen without fully obscuring the view. 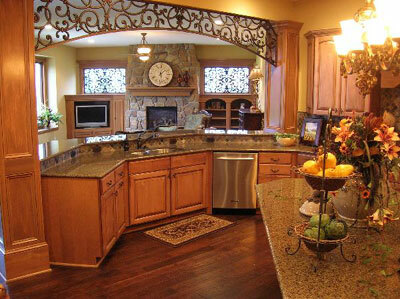 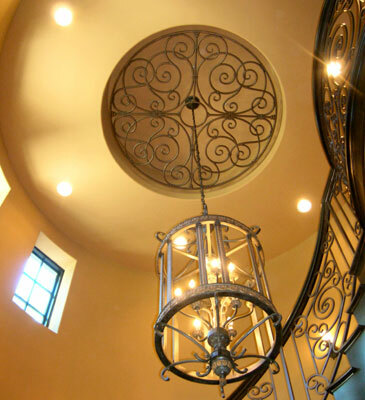 Inside, an iron design can be an elegant accent piece, giving the room a traditional or old-world feel. 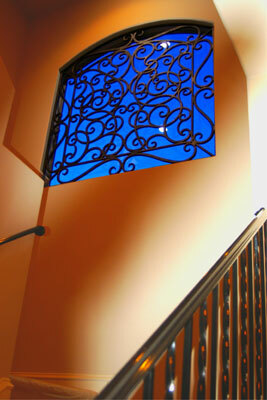 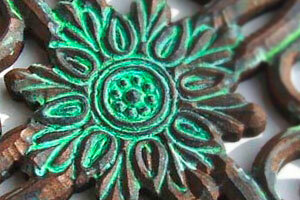 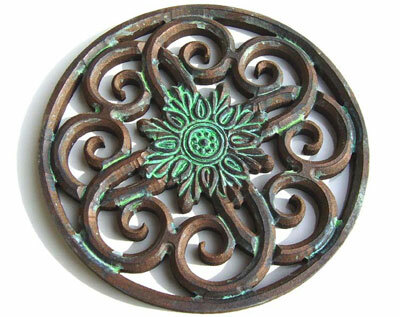 We offer traditional iron work, as well as a new IronArt process. 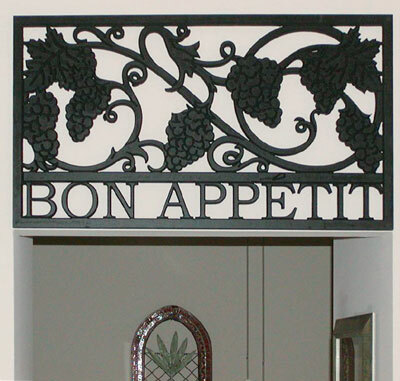 IronArt has the same look as traditional iron at a fraction of the cost and weight. 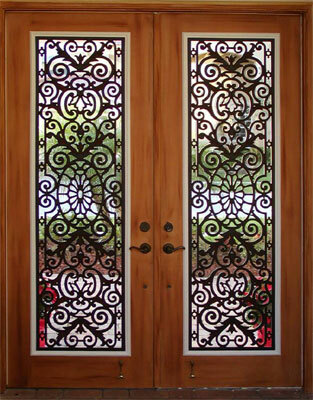 Made of a composite material, IronArt combines historical beauty with modern technology. 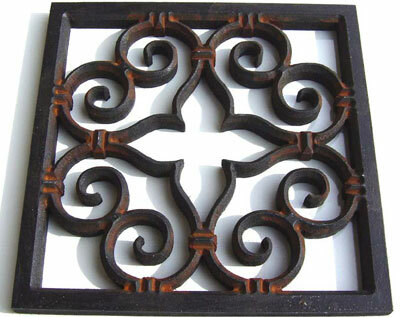 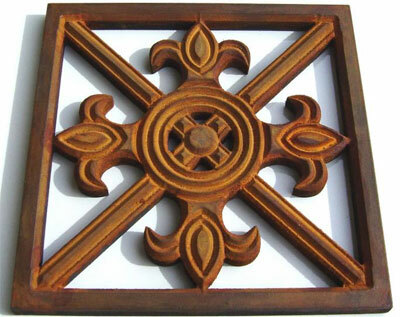 Both traditional iron work and IronArt can be matched to your unique tastes and needs. 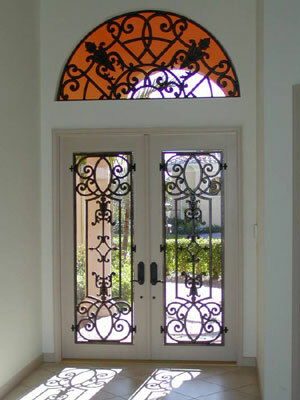 Standard designs are available in a wide variety of styles, and custom design options open the door for your imagination. 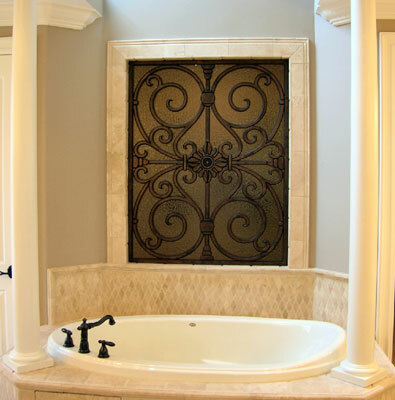 You can even choose from a variety of surface treatments, including bronze, gold and various levels of rust. 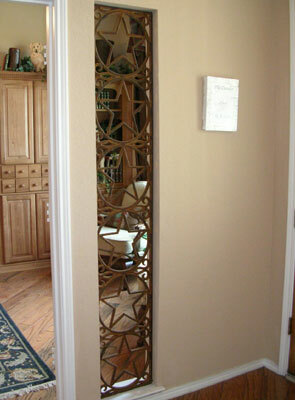 Iron designs work especially well combined with textured glass to provide privacy. 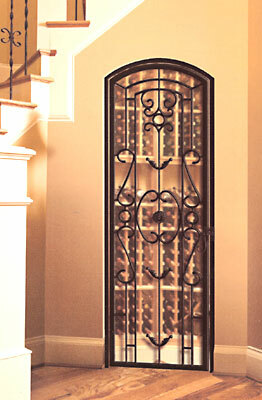 Both traditional and IronArt pieces can be enclosed in an insulated unit, sandwiched between two piece of clear or decorative glass.